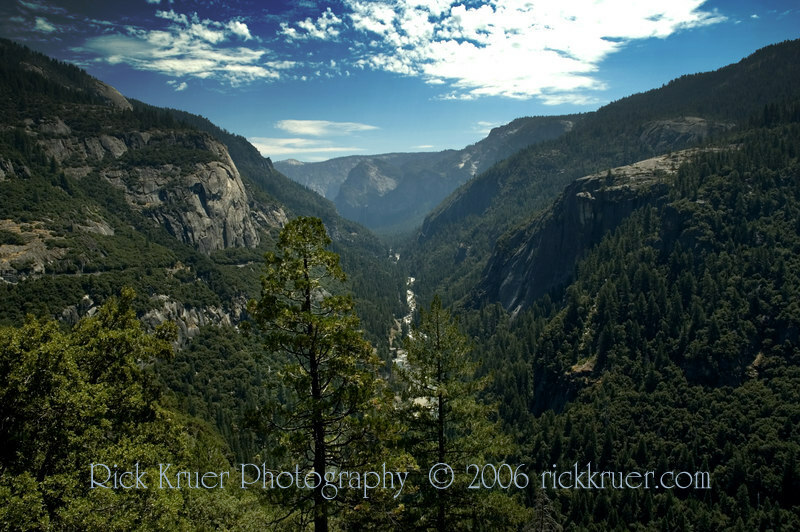 Scenic photos taken in Yosemite National Park, California taken July 2006. 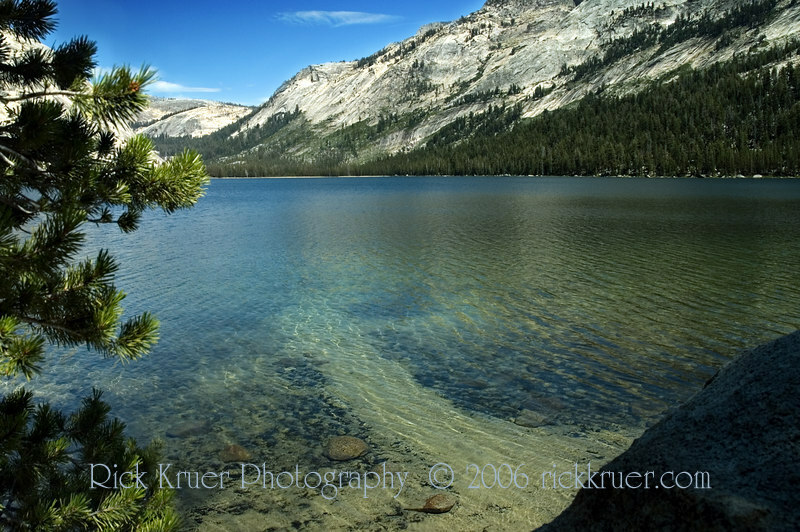 Beautiful Tenaya Lake in Yosemite National Park. 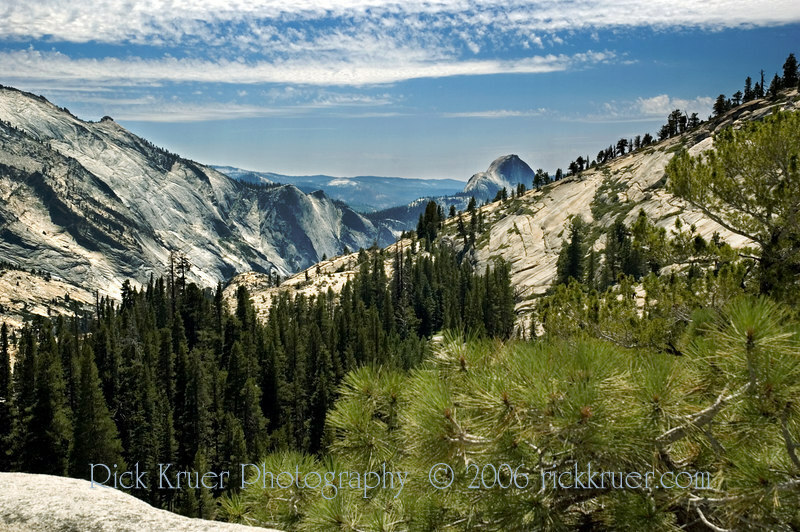 Scenic stop at Olmsted Point on the way to Tenaya Lake in Yosemite National Park. 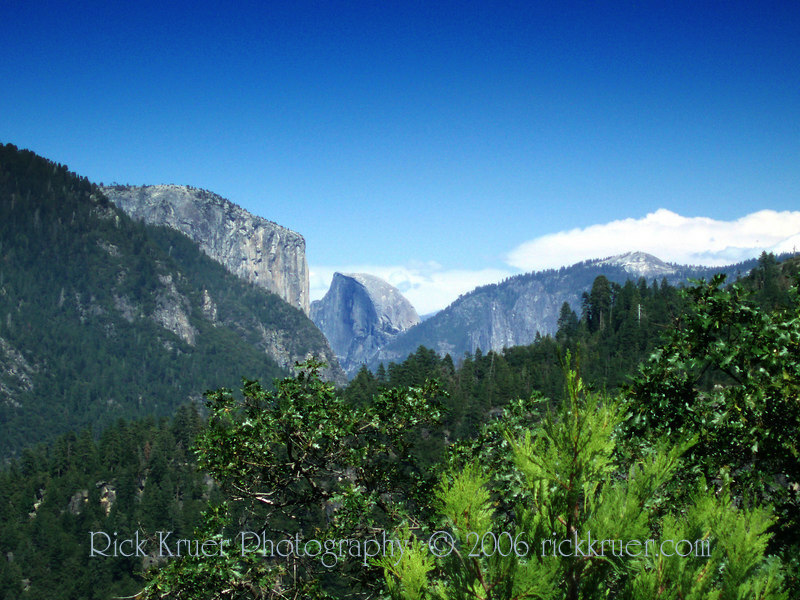 Scenic view taken at Olmsted Point on Tioga Pass road as we head east through Yosemite National Park. 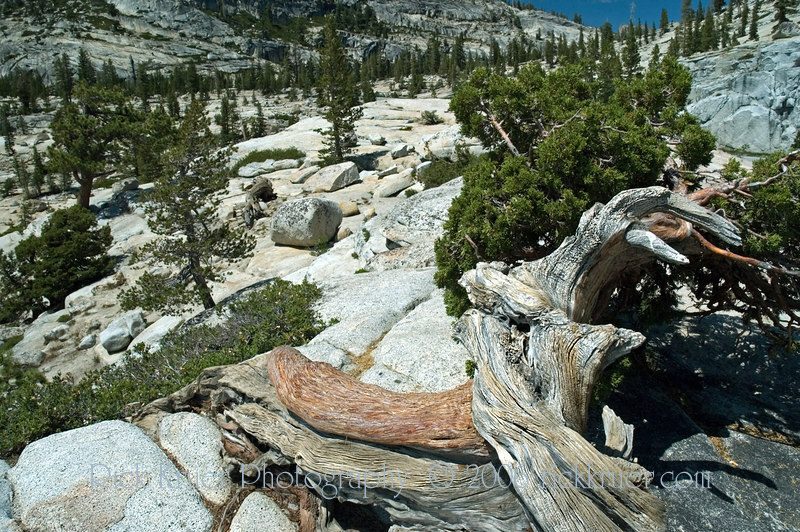 View from the apex of the climb we made to see the scenery at Olmsted Point on Tioga Pass road. 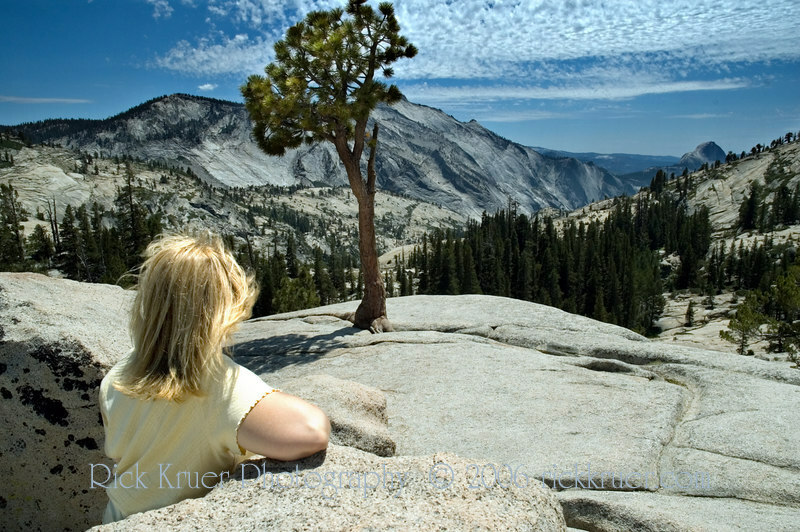 Eileen looks great enjoying the excellent scenic view at Olmsted Point on Tioga Pass road as we head east through Yosemite National Park. 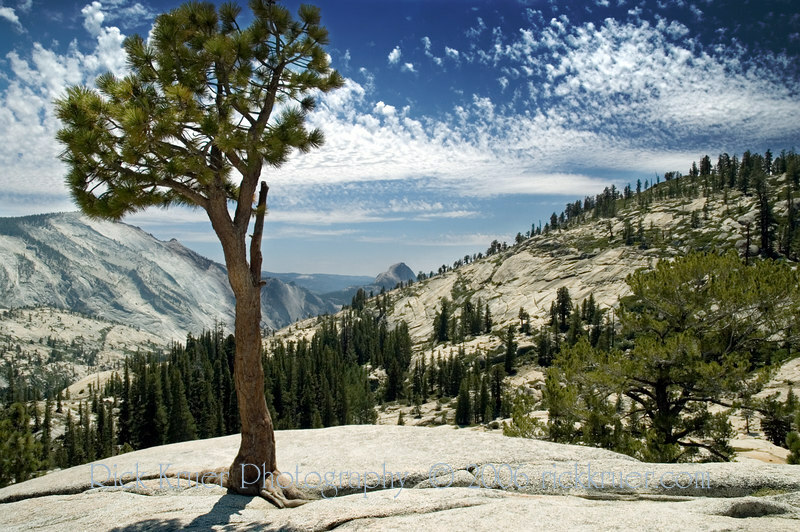 Scenic view at Olmsted Point on Tioga Pass road through Yosemite. 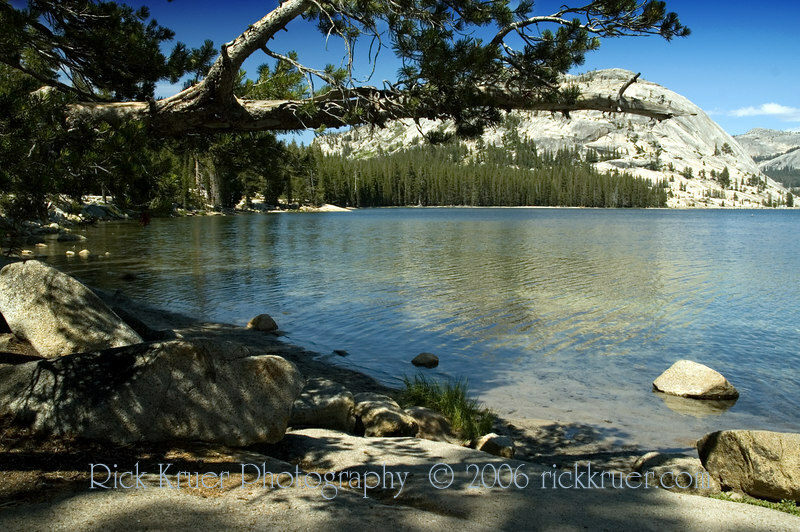 Scenic, peaceful view of Tenaya Lake in the Yosemite wilderness. 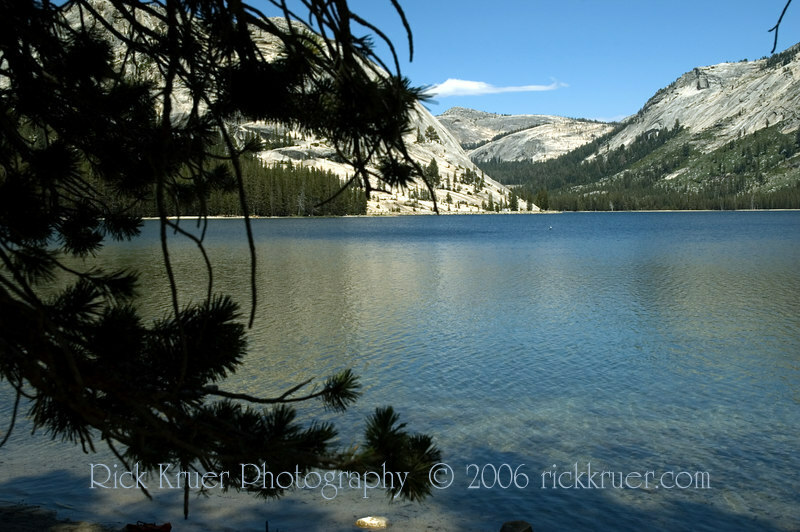 Another scenic view of Tenaya Lake in the Yosemite wilderness. 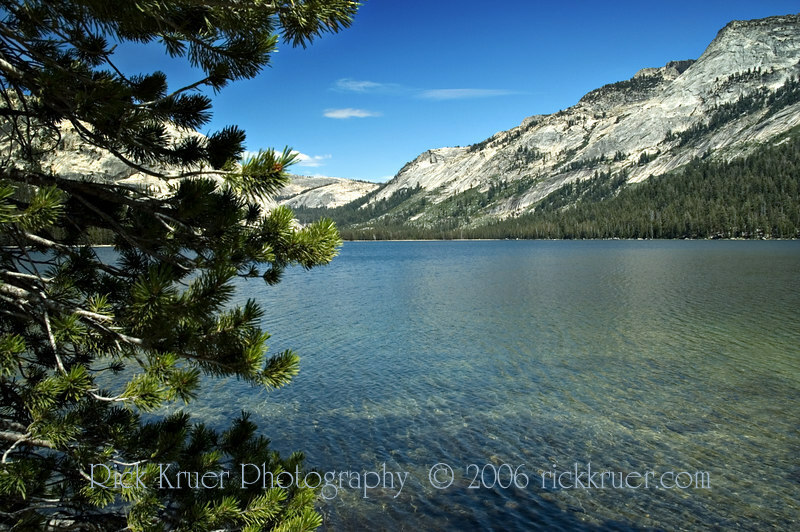 Scenic, peaceful view of Tenaya Lake looking toward the east where the road curves around the lake as it winds through Yosemite National Park. 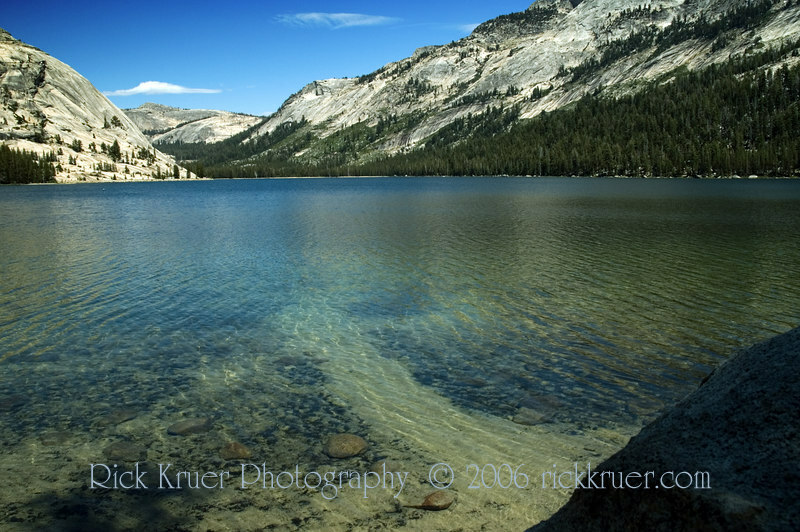 Tenaya Lake from the rock ledge area where we rested and took in the view and scenery as we travel through the park on Tioga Pass road. 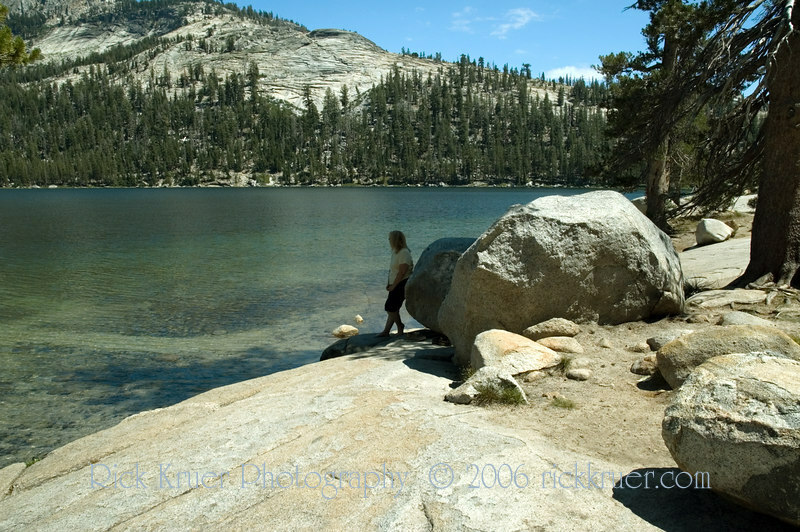 Nice, calm photo of Eileen silhouette against Tenaya Lake in the Yosemite wilderness. 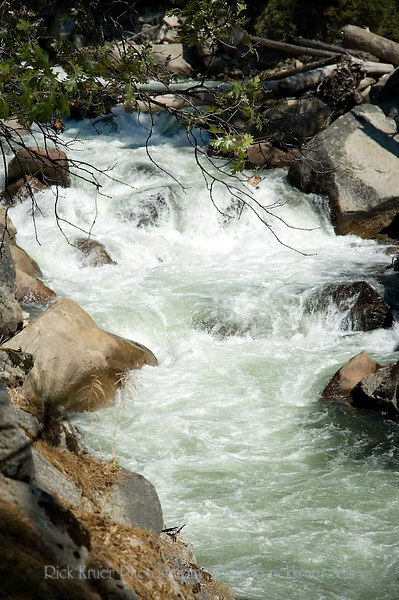 A tall photo of the Merced River flowing over the rocks on our first stop after leaving the Cedar Lodge hotel as we make our way through the park on Tioga Pass road. A tall view of the Merced River with scenic view taken on our first stop after leaving the Cedar Lodge hotel in El Portal, CA as we make our way through Yosemite on Tioga Pass road. A beautiful, scenic spot! 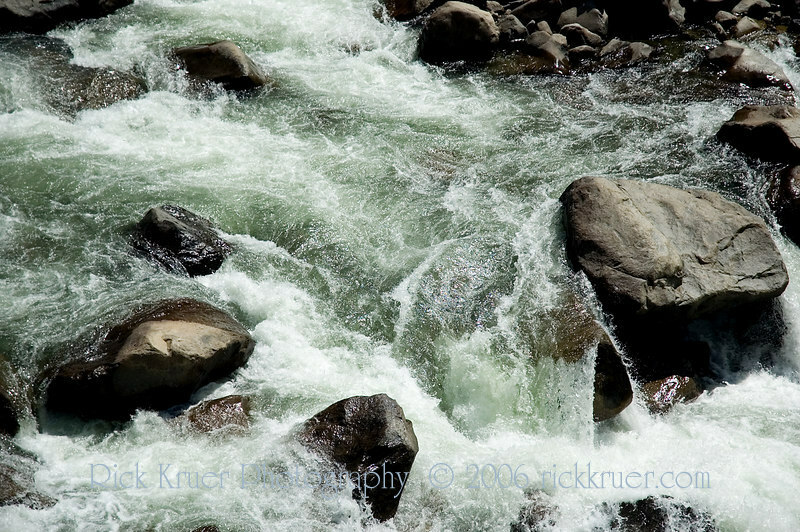 Closeup of the Merced River as we travel through Yosemite National Park, leaving El Portal, CA to take Tioga Pass Road through the park. Here was our first stop just a few miles from the Cedar Lodge hotel. 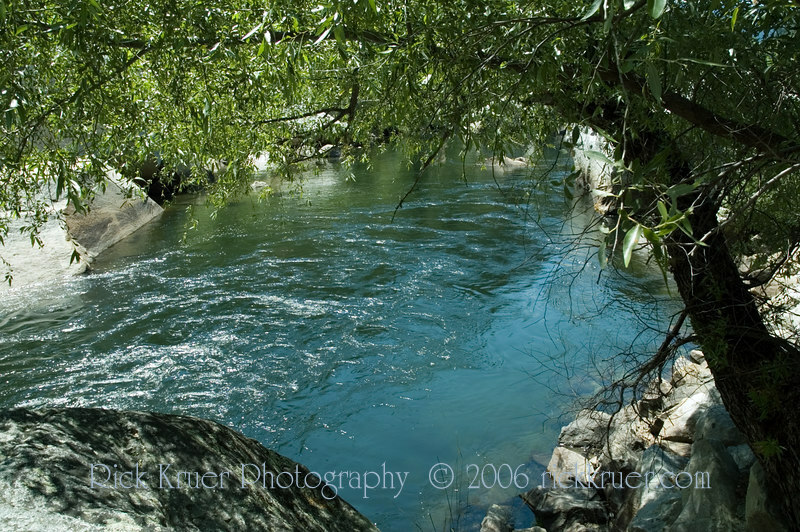 A nice, calm pool of water in the Merced River. 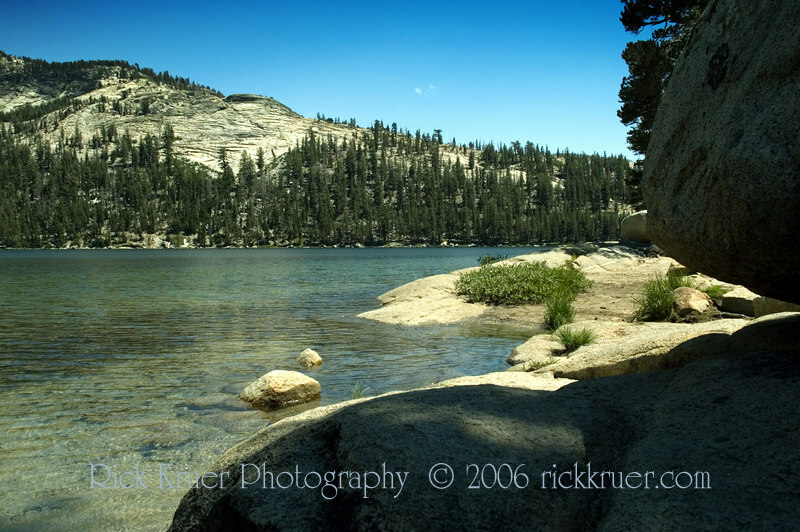 Eileen and Rick enjoyed the calm and peacefulness at this spot near the Yosemite Arch Rock entrance. 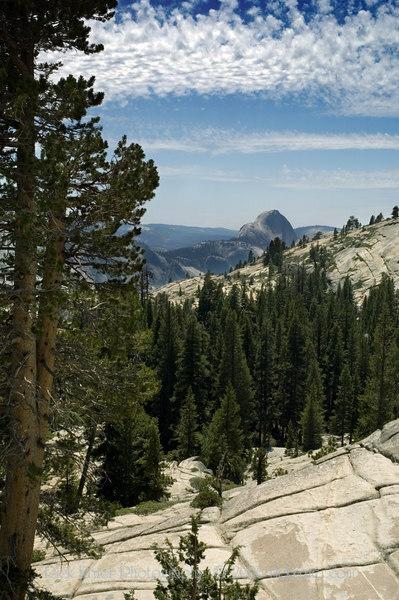 Eileen's excellent photo of the scenic view of Half Dome mountain, taken near the merge of route 120 with route 140 inside Yosemite National Park. 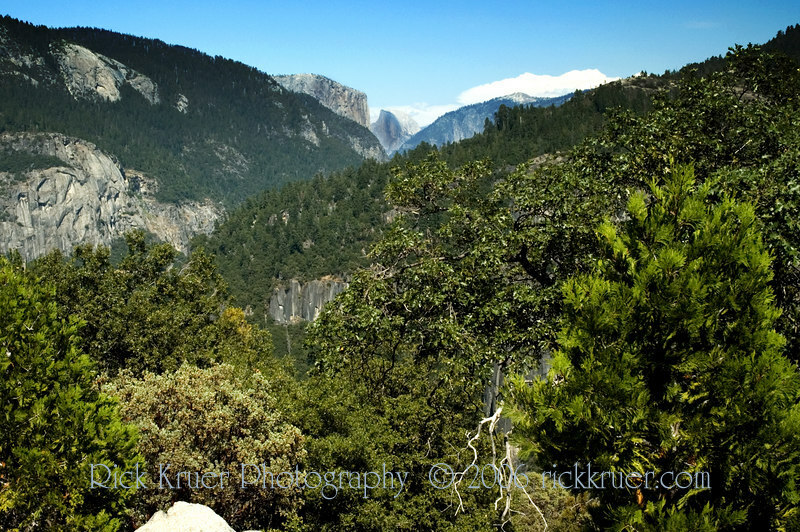 View the scenic stop with view of Half Dome mountain, taken near the merge of route 120 with route 140 inside Yosemite National Park. 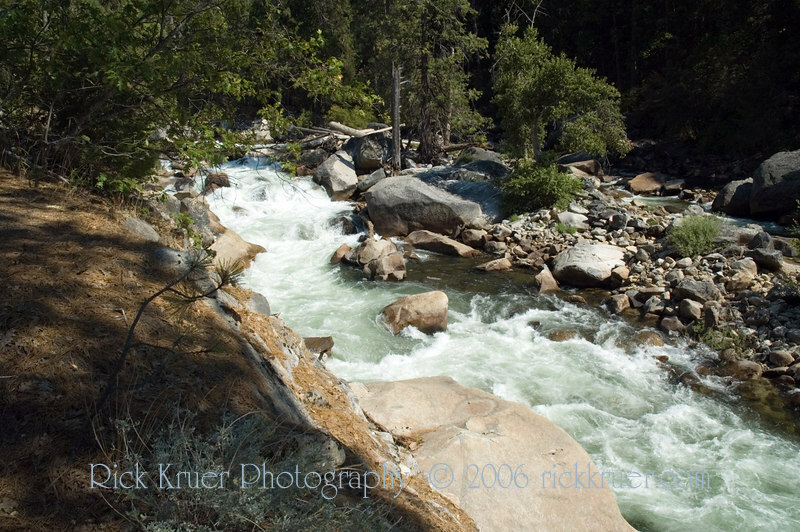 Merced River in Yosemite National Park near route 140. 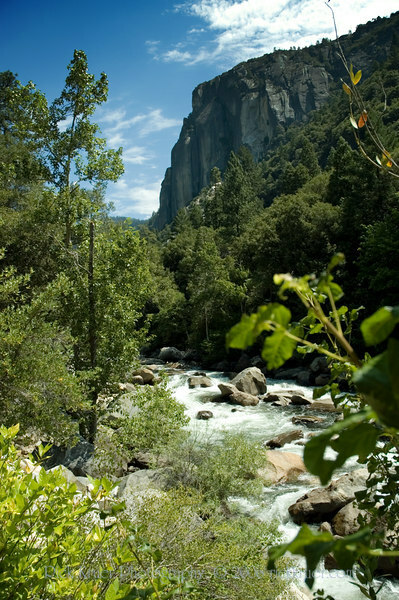 Tall view of Merced RIver in Yosemite near route 140. 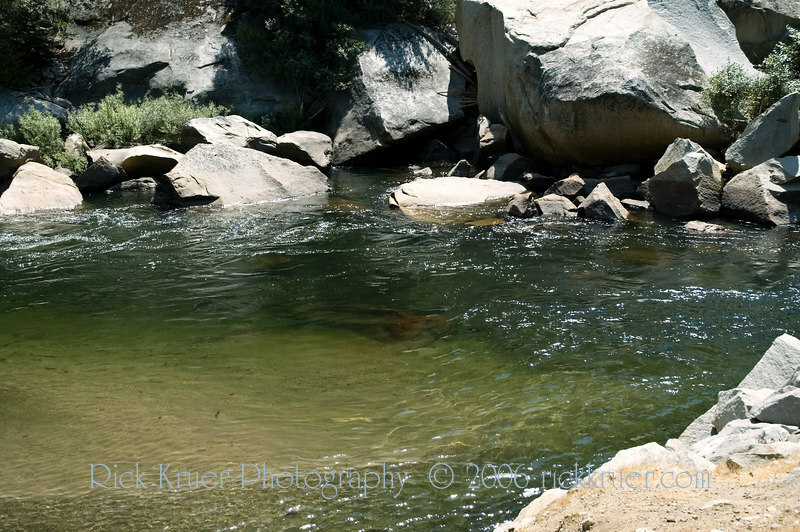 Tall, scenic shot of the calm, serene pools of water on the Merced River near the Arch Rock entrance of Yosemite. 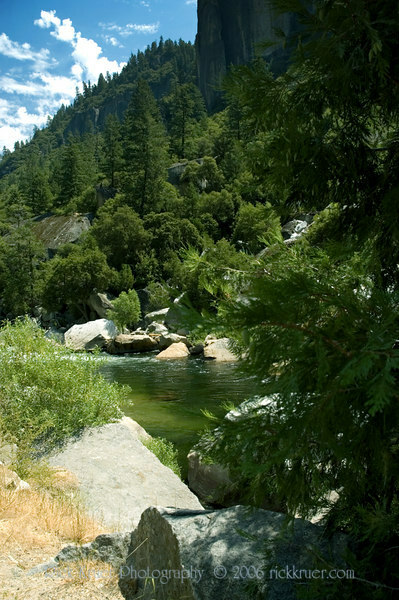 A beautiful, serene "Swimming hole" spot on the Merced River. 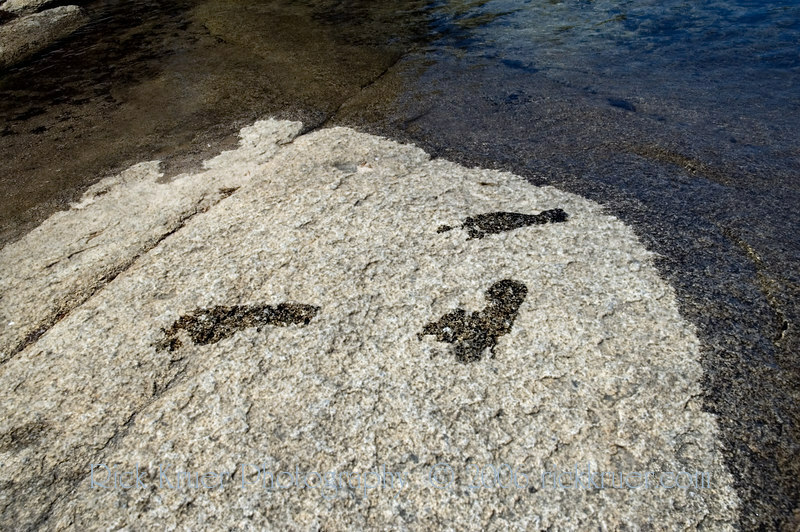 Rick loves the peaceful nature of the pools of water, when the river takes a break from flowing. Near the Arch Rock entrance of Yosemite. 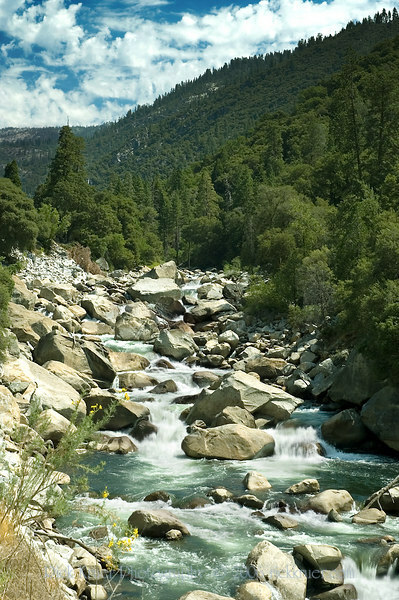 A scenic view of the Merced River from a higher elevation as we climb up on Tioga Pass road as we make our way through Yosemite, the scenic way. 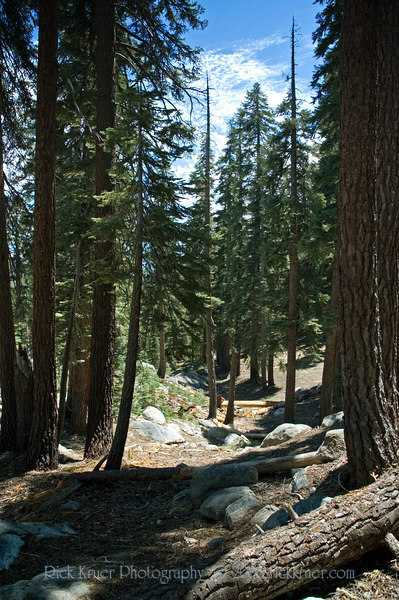 A scenic view of the forest near White Wolf on Tioga Pass road as we make our scenic travel through the park. This was an excellent choice of travel through Yosemite. The Road was very peaceful, very quiet and very scenic. 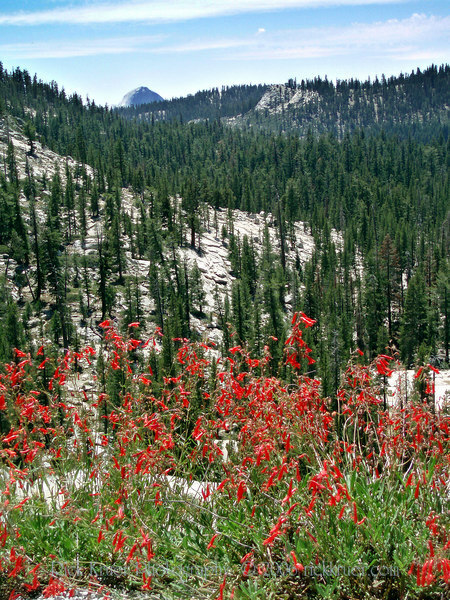 Eileen's beautiful photo of the red wildflowers that she loved seeing on the side of the road. 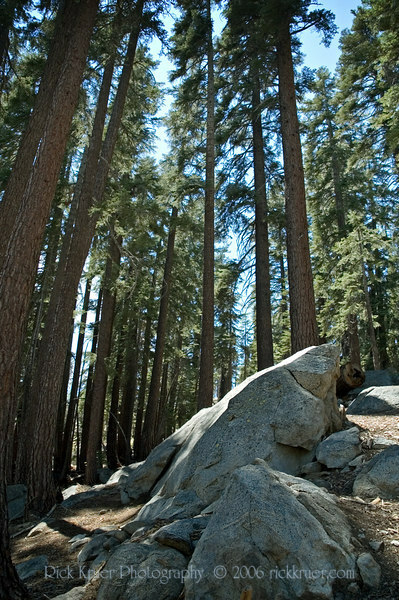 Taken on Tioga Pass road as we make our way through Yosemite, the scenic route. 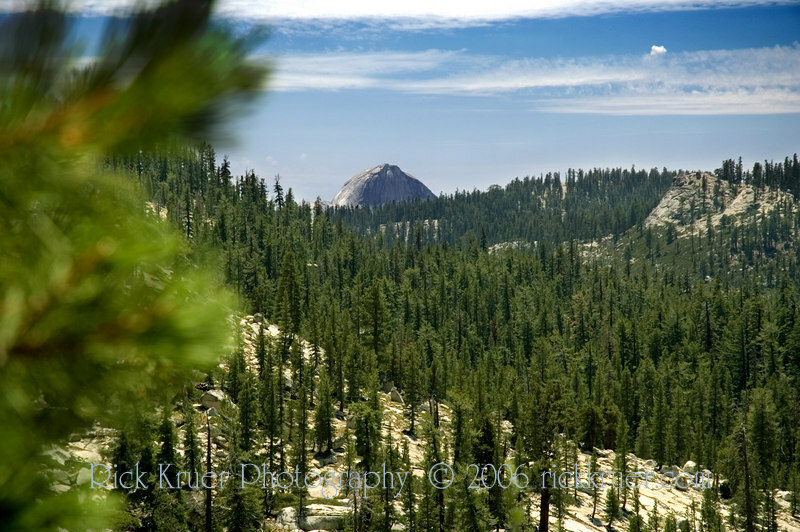 A scenic view taken on Tioga Pass road as we travel through Yosemite, heading east. 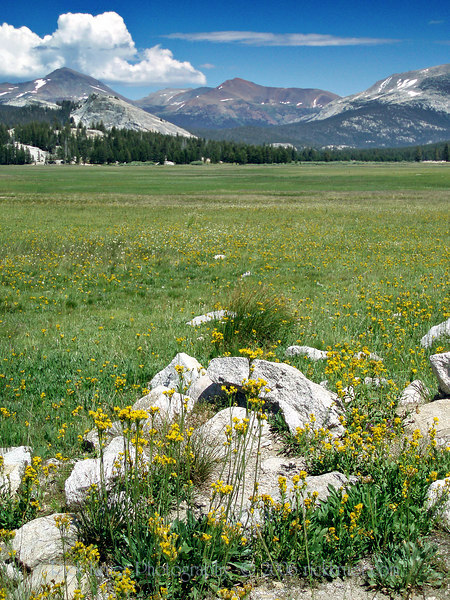 Eileen's photo of the nice scenic view of Tuolumne Meadows on Tioga Pass road toward the eastern entrance of Yosemite.